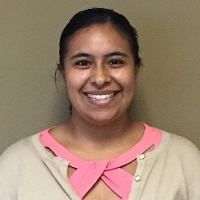 Alondra Vega-Arroyo is a Research Associate at the Center for Wellness and Nutrition. Dr. Vega-Arroyo has more than five years of experience in public health, particularly in occupational and environmental epidemiology. Her expertise includes study design, IRB (Internal Review Board) proposal writing, data collection, and data analysis for both qualitative and quantitative work. She is currently working with the California Department of Social Services to evaluate and assess California SNAP-Ed policy, systems, and environmental (PSE) change interventions. PSE change interventions are a result of the Healthy, Hunger-Free Kids Act of 2010. They work in tandem with direct nutrition education and social marketing to enable, promote and support healthy behaviors. Dr. Vega-Arroyo’s interest in working with CWN stems from her belief and desire that everyone should have access to healthy foods and an understanding for overall wellness. She grew up in South Central Los Angeles and understands the need for programs that target community improvement in wellness and in health. In 2018, Alondra earned her PhD in Epidemiology from the University of California, Davis. In 2012, she graduated from Loyola Marymount University with a Bachelor’s of Science in Biomathematics.